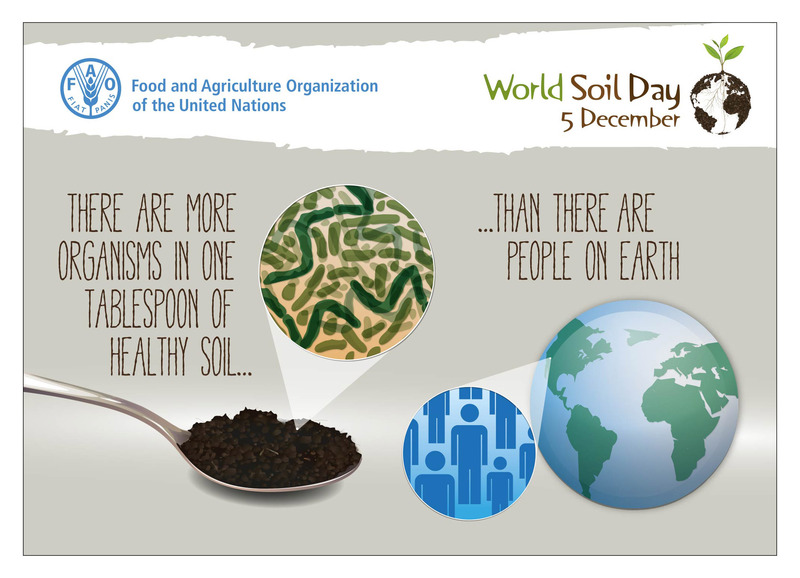 On this page we provide campaign materials for you to prepare and celebrate the World Soil Day. 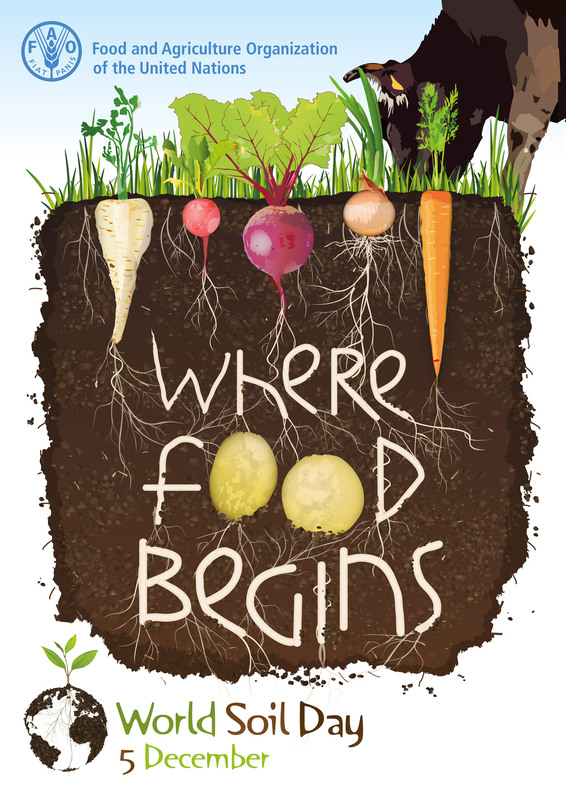 Help us spread the world about the World Soil Day. Tell your friends and colleagues about these banners, buttons, Infographic and our fun campaign material. 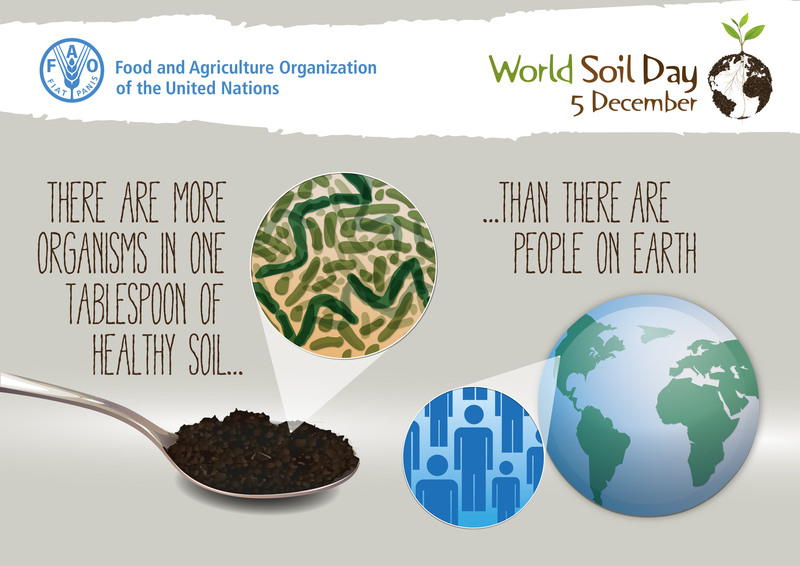 Send us the photos from your events and we will post them on the official UN World Soil Day site. Show that you are part of the campaign ! 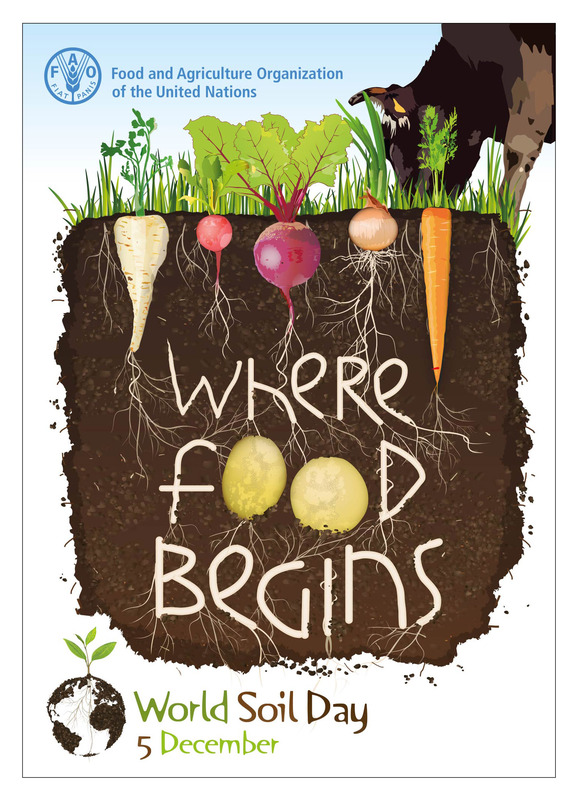 The official poster to celebrate World Soil Day is available for you to download and print to help the campaign ! 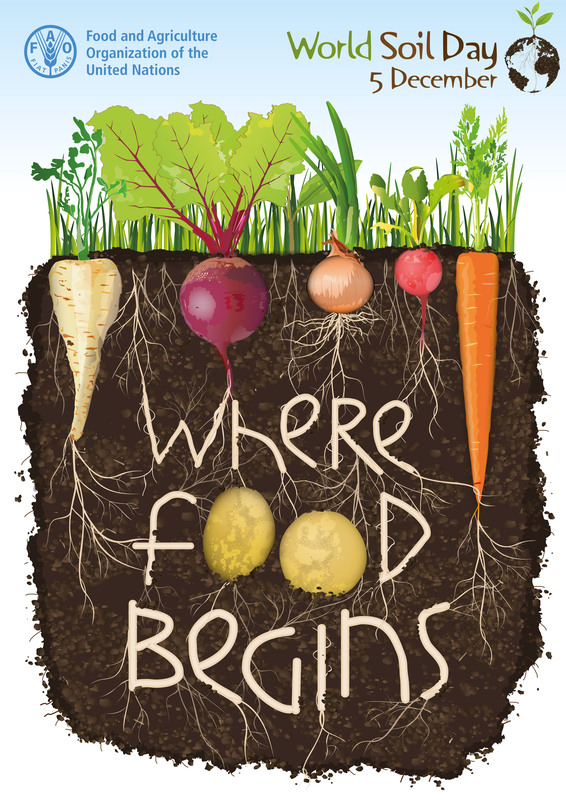 The official World Soil Day logo is now available for you to download and use to help the campaign at your event! Look out for more languages in the coming weeks! Giving out T-shirts at World Soil Day events can create real team spirit and gives everyone involved a nice souvenir of the day. 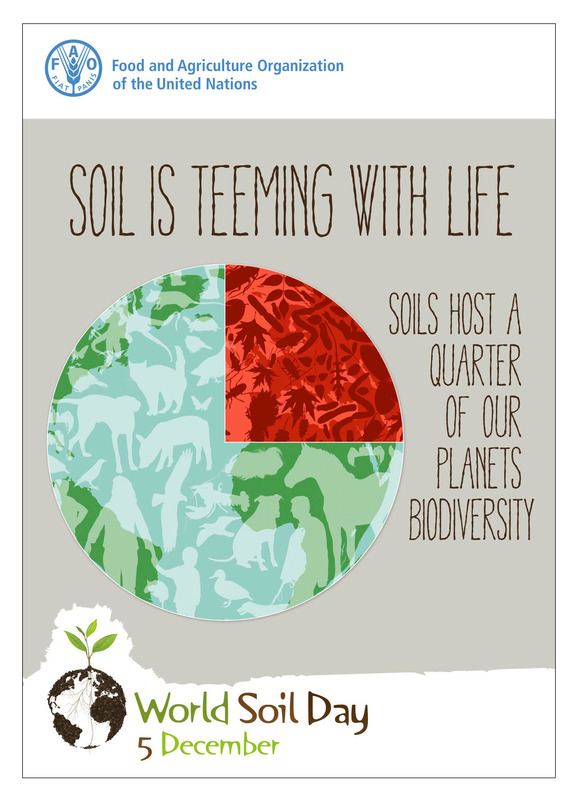 With these files, you can print your own World Soil Day t-shirts. It’s not hard. We’ve provided the instructions. Learn more about the functions of, and hazards facing, our planets precious hidden resource in this detailed infographic. Are you a teacher? Have you thought about teaching your student about the importance of soils? You can download and print a few posters to show in class in A3 or A4 format. 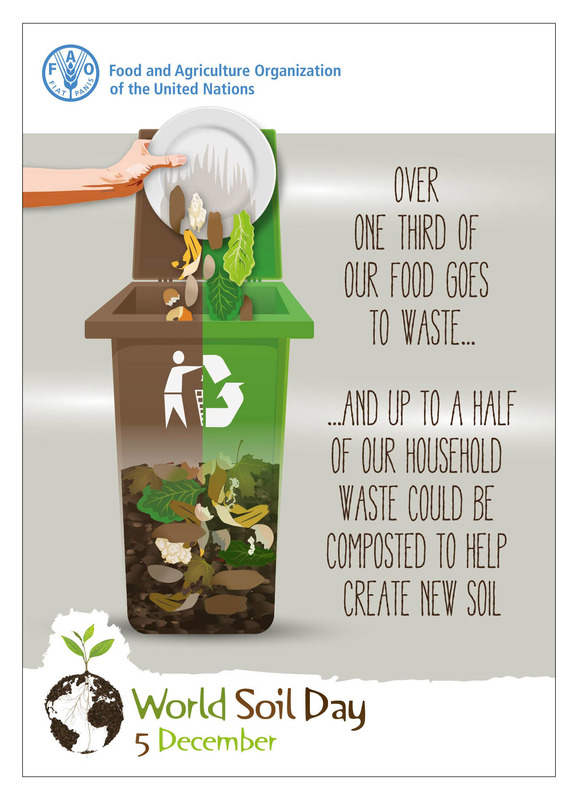 Produce your World Soil Day card! 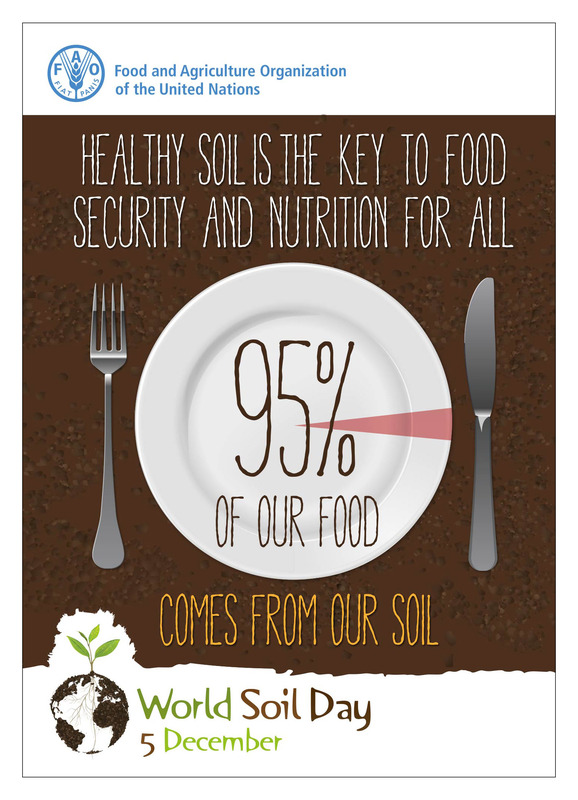 Take the time to show you care about the health of our soils and email one of our cards to your friends and family. 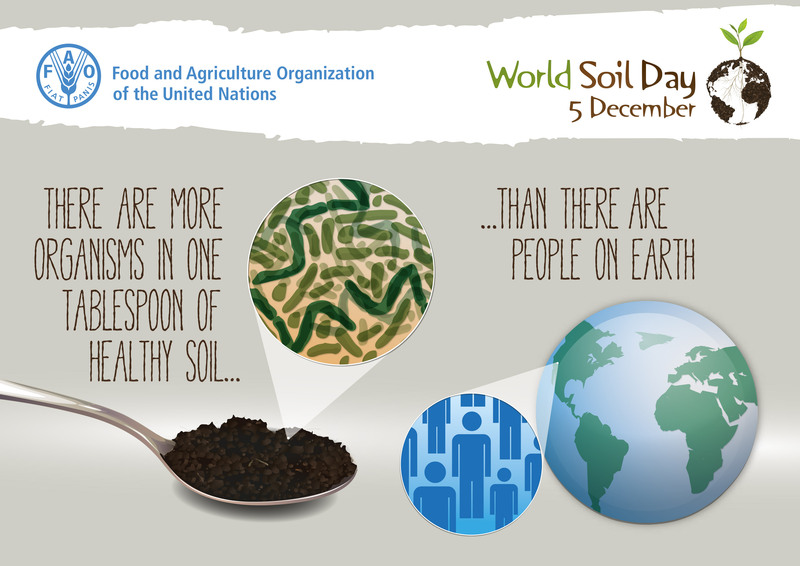 Add a link to the World Soil Day site! 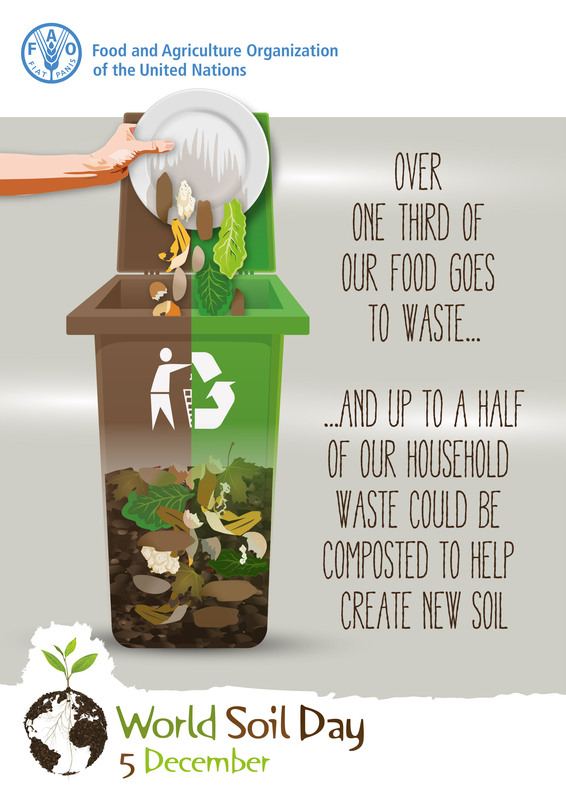 Are you an eco-friendly blogger? 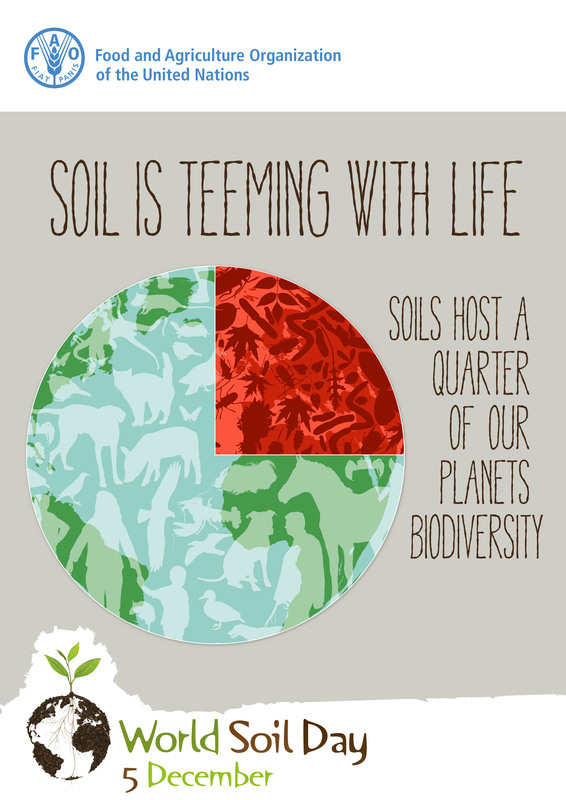 Why not adding the World Soil Day banner or button to your blog? Even better… link back to these pages so that others can be reached out! We've provided a variety of sizes for you to download. To download a banner / button, simply right click on the one you would like to use and select 'Save Image As' (PC) or 'Save Link As' (Mac) from the popup menu that appears. Then save the file to your desktop or hard drive.